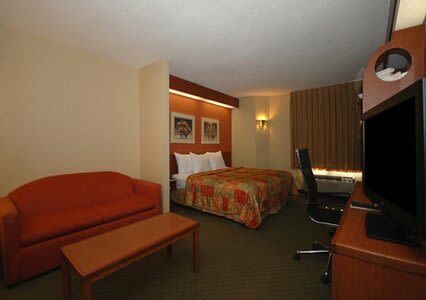 The hotel offers wonderful recreational facilities such as indoor pool, fitness center and hot tub to make your stay truly unforgettable. Enjoy a free hot breakfast that includes sausages, bacon, eggs, fresh waffles, fruit and yogurt. All rooms include a LCD TV with digital cable, free WiFi internet access, coffeemaker, iron and ironing board, hairdryer and upgraded rooms include a fridge and microwave. This property is close to restaurants, shopping and historic downtown Wake Forest.